Electric wheelbarrow. 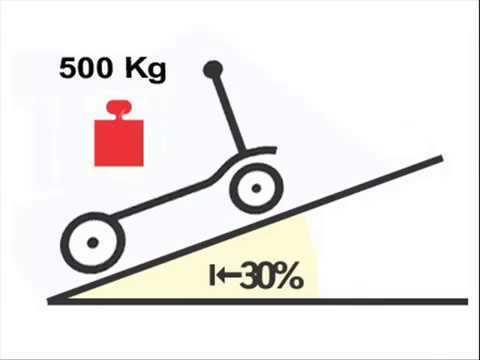 The right balance between the load and the wheel gives the customers confidence when using the product. The wheelbarrow is easily manoueuvrable. The motor has electromagnetic brake that automatically engages when the power is turned off. The tilting system of the D1 allows accessories to be interchanged quickly and easily. 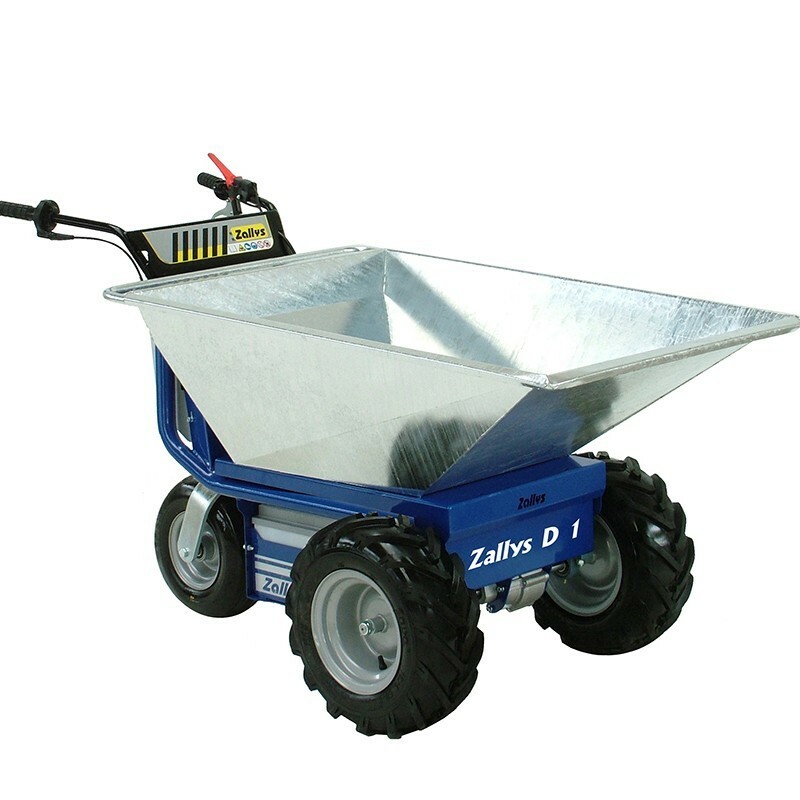 BRIO is very sturdy electric wheelbarrow. It surprisingly offers high perfomances with an operating duration guarantee of a working day. The BRIO manual tilting system gives the possibility to equip and change rapidly different types of accessories depending of the expected use. 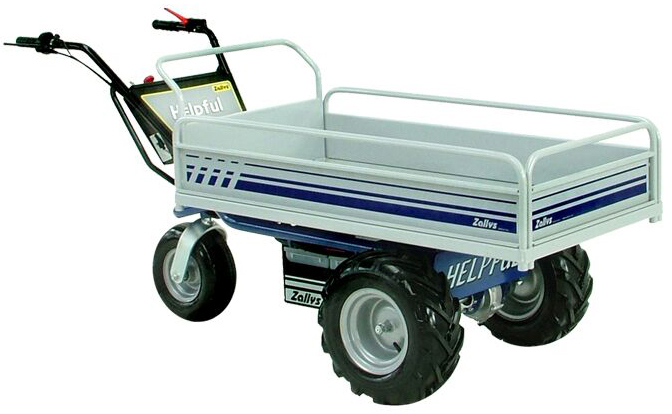 Professional electric wheelbarrow. It gives the user confidence, increasing the handiness in the manoeuvre operations. It is ideal to cover daily operations. The semi automatic tilting of the skip is helped by an electronic system that controls the forward or the back speed guided by a knob accelerator. 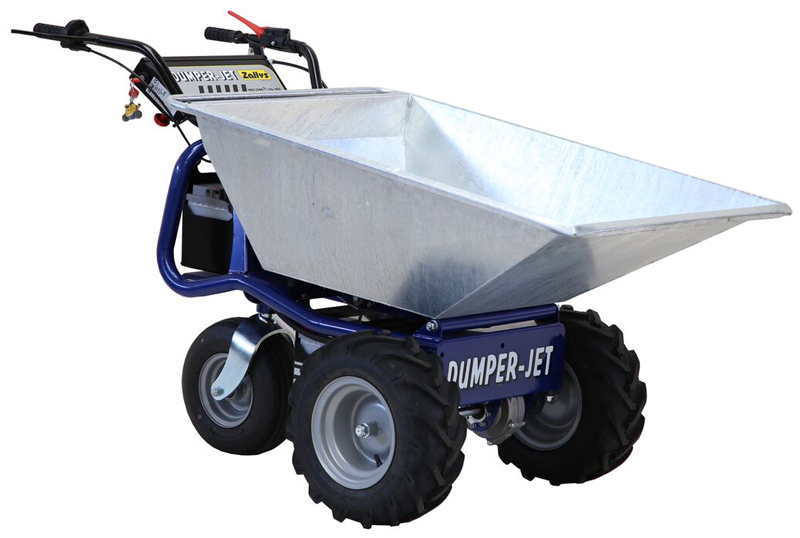 The Dumper Jet tilting system gives the possibility to equip and change rapidly different types of accessories depending of the expected use. 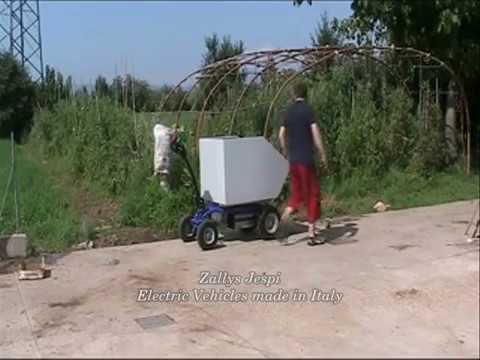 3 wheel electric transporter. Work capacity: over 8 hours. HS is very handy and suitable to be used in productive plants, warehouse storage, and in any other material movement operation. It can be equipped with interchangeable skips or crates. The electronic system that controls the forwarding or the backing speed is guided by a knob accelerator making the work easier and safe even in narrow places. HS is supplied with an extra red lever for safety which allows to work only in the presence of assigned personnel. The tilting system gives the possibility to equip and change rapidly different types of accessories depending on the expected use. 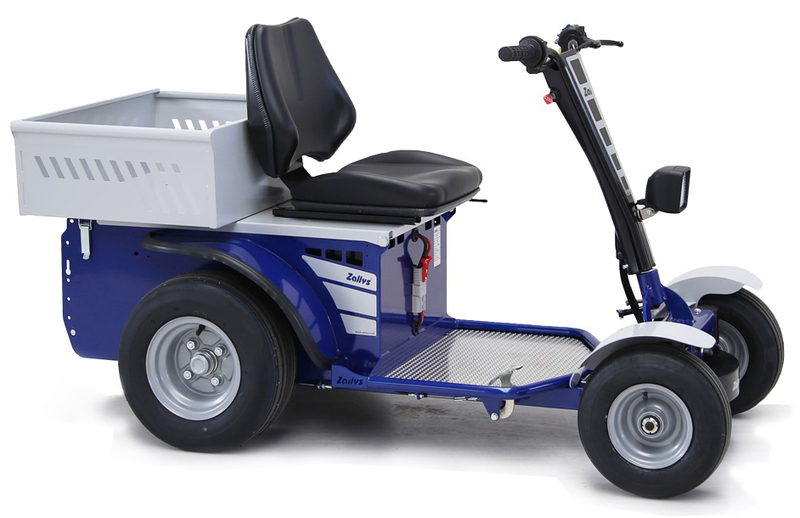 4 wheels platform electric cart. Ideal to cover daily operations with a single charge. This electric trolley has a great stability and is suitable to be used in productive plants, warehouses, and in any other material movement operation, making it simple avoiding the hard work while increasing the efficiency. It can be equipped with interchangeable skips or crates. The electronic system that controls the forwarding or the backing speed is guided by a knob accelerator making the work easier and safe even in narrow places. The tilting system of the gives the possibility to equip and change rapidly different types of accessories depending on the expected use. Электрическая транспортная тележка с ручками. Может работать более 8 часов без необходимости перезарядки. Она подходит для работы на заводах, складах и в любом другом месте, где требуется перевозка грузов. Двигатель снабжен электромагнитным тормозом, который блокирует колеса, предотвращая случайное скольжение полностью нагруженной тележки даже на поверхности с уклоном 30%. Система опрокидывания дает возможность быстро настраивать и менять различные кузова в зависимости от цели применения тележки. 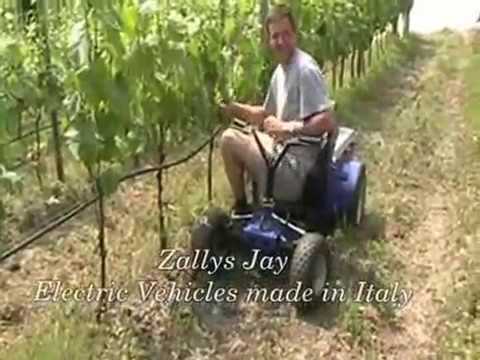 Vineyards electric tractor.It is an electric man on board vehicle projected for speeding up the pruning or picking operations in farming activities. It is mainly used for the green pruning and vintage on low vineyards. 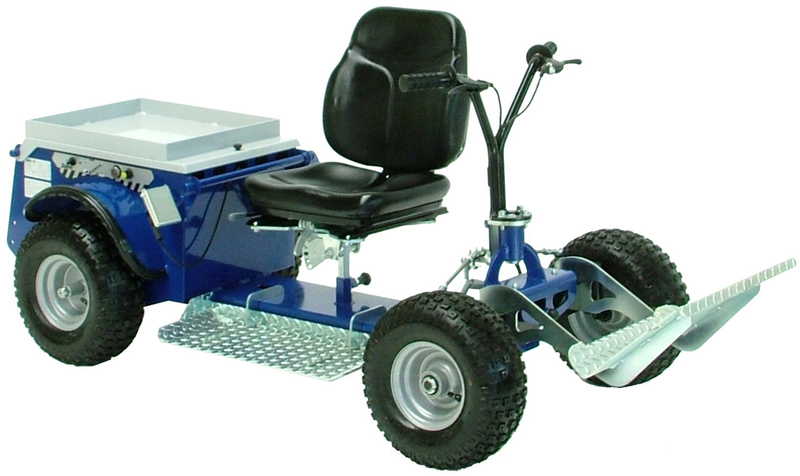 JAY can be transformed in an electrical transporter, simply by removing the seat, handlebar and footboards, and applying the high handlebar steering and the platform. 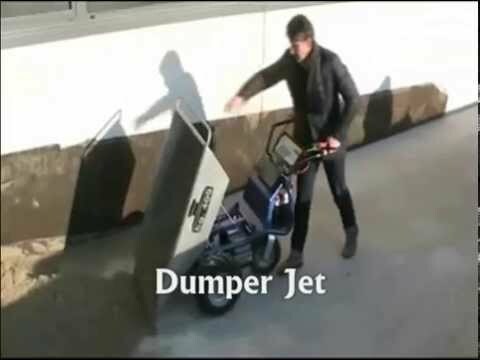 The JAY is very efficient on slopes as well. The seat is complete with a turning and reclining system. The motor has an electromagnetic brake that blocks off the vehicle preventing accidental slippery. Vineyards electric tractor.It is an electric man on board vehicle projected for speeding up the pruning or picking operations in farming activities. 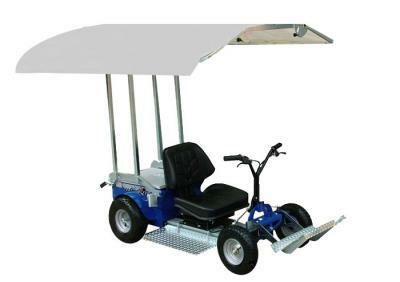 It is mainly used for the green pruning and vintage on low vineyards.JAY can be transformed in an electrical transporter, simply by removing the seat, handlebar and footboards, and applying the high handlebar steering and the platform. The JAY is very efficient on slopes as well. The seat is complete with a turning and reclining system. The motor has an electromagnetic brake that blocks off the vehicle preventing accidental slippery. Electric 4-wheel vehicle. Ideal for green-house cultures, increasing and aiding continuous movement in row cultivations. It is equipped with a combined modular system of simple and easy transformation: from machine with seating for low cultures, to a high level platform for creeper harvesting such as tomatoes, peppers or simply pruning while the operator remains on the vehicle. The motor has an electromagnetic brake that blocks off the vehicle preventing accidental slippery. It comes in action automatically when the operator release the driving lever. The gears in oil bath avoid any kind of maintenance. 4 wheeled electric trolley. The machine is equipped with a standard load box being mm 1800x800x600H with 4 sides. Two of them are removable and openable. It is equipped as standard with an hydraulic tilting system that is activated directly from the tiller head controls. Discharge can be effected either to the left or to the right side. 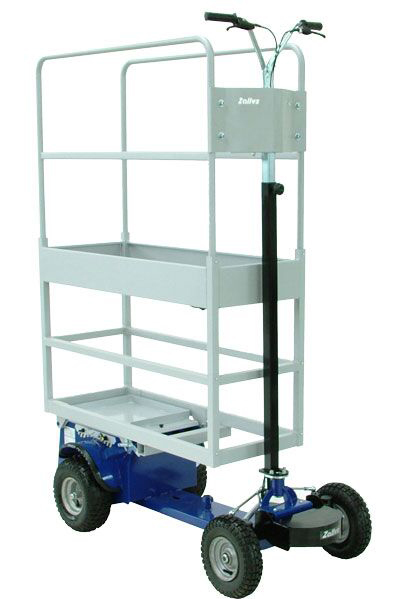 The swivel tiller head is made with a safety sensor which allows to work only in the presence of assigned personnel. The motor is equipped with an electromagnetic brake that block off the R5. 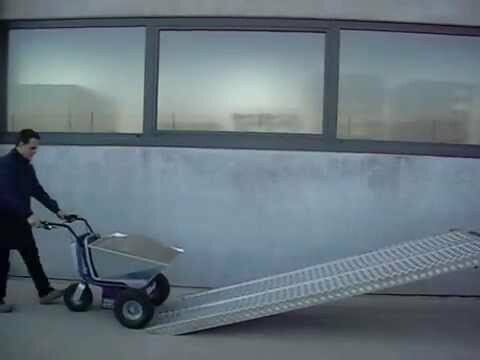 Platform electric cart. Created for various special applications. 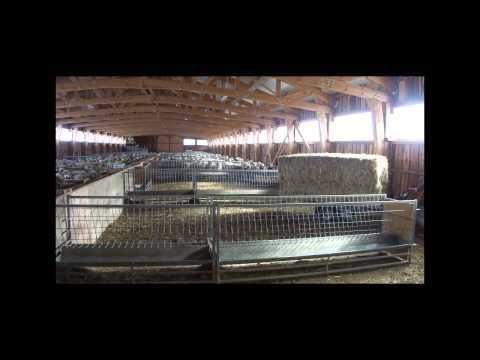 All sorts of equipment or containers can be assembled for multiple usage. 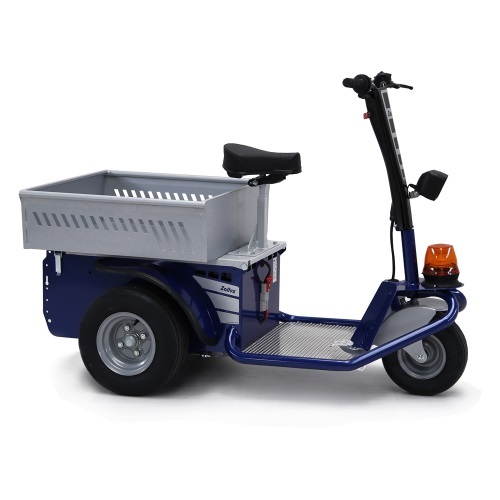 Electric cart equipped with many accessories and flatcars it is suitable for the cleaning of large parks, gardens, in the handling of material or goods stocked in pallets. 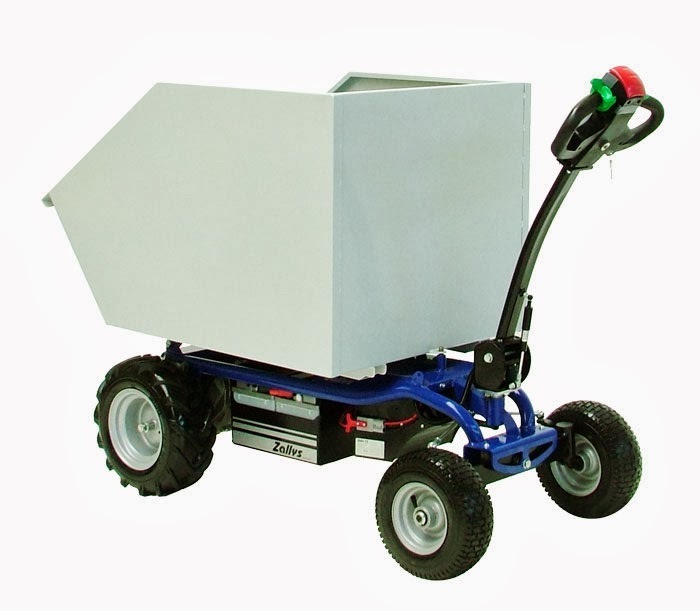 This electric cart works in any kind of internal/external or on uneven ground situation. Also available with heavy duty axles to load up to 1000 kg. 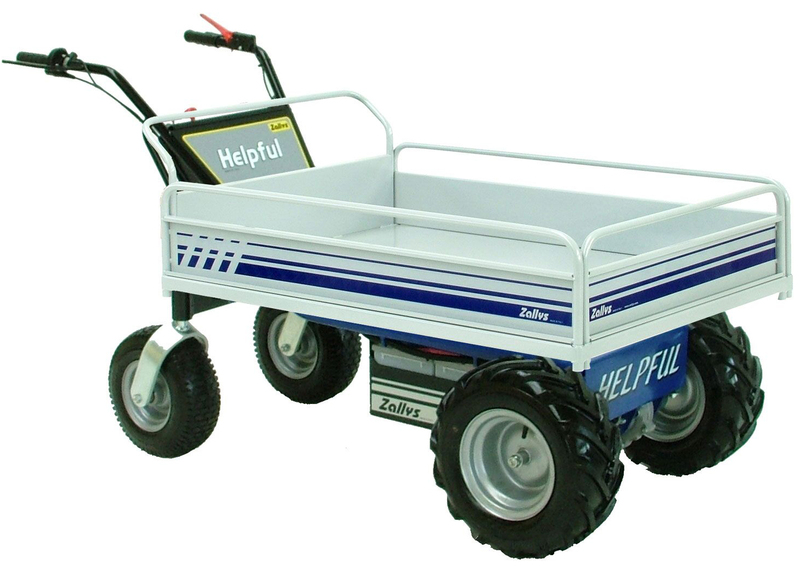 4-wheel motorised trolley . Can be equipped with a large number of load cages and platforms. It is suitable for the cleaning of large parks, gardens, in the handling of material or goods stocked in pallets, or, as often used in airports and stations for luggage or goods transport, and versatile for many other work situations. Also available with heavy duty axles to load up to 1000 kg. 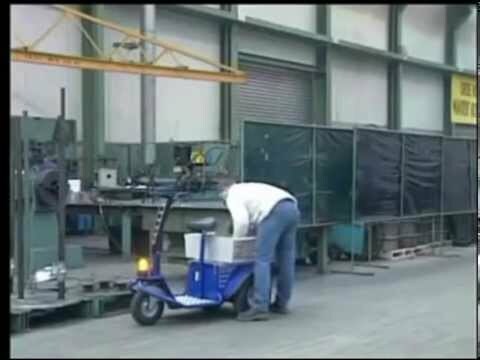 3 wheel man on board electric personnel carrier. 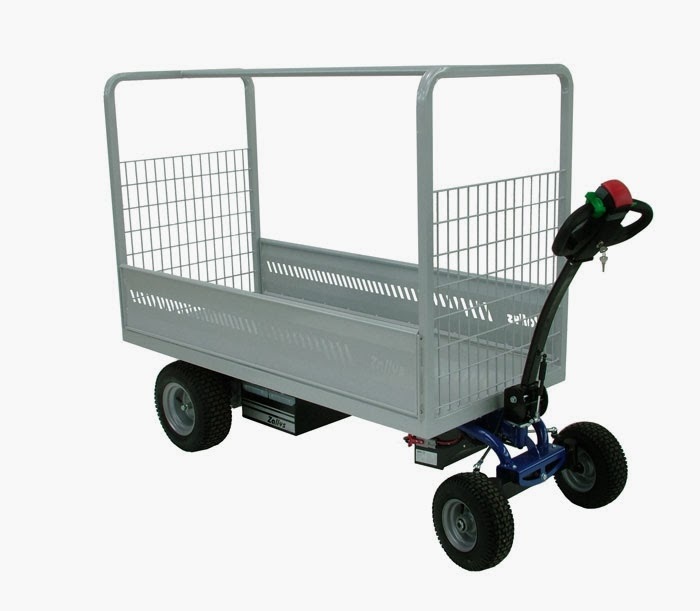 It is used for the transport of personnel, of merchandise, for the maintenance and inspection inside hospitals, industries, airports, warehouses, greenhouses, markets. Our industrial vehicle has an incredible versatility of application in almost every field and on different type of grounds. 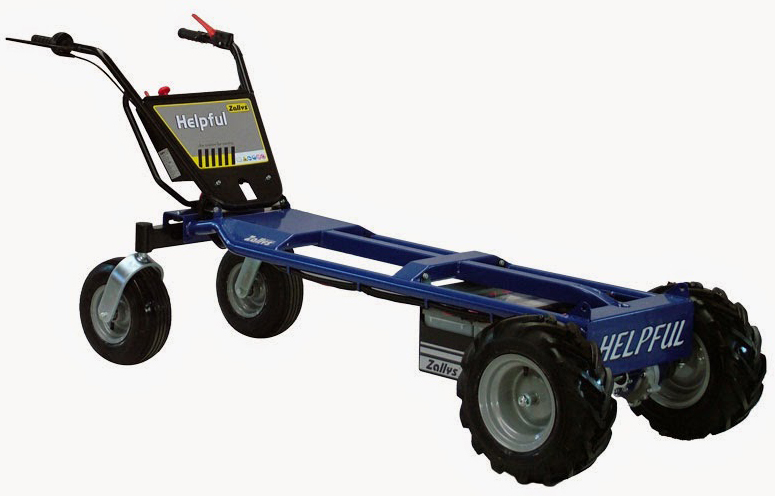 It is equipped as standard with two brake systems: electric lever on the handlebar and mechanical by a pedal for the total safety at full load.Jack electric tow tractor offers the driver stability and a great control up to 8 hour on flat ground. 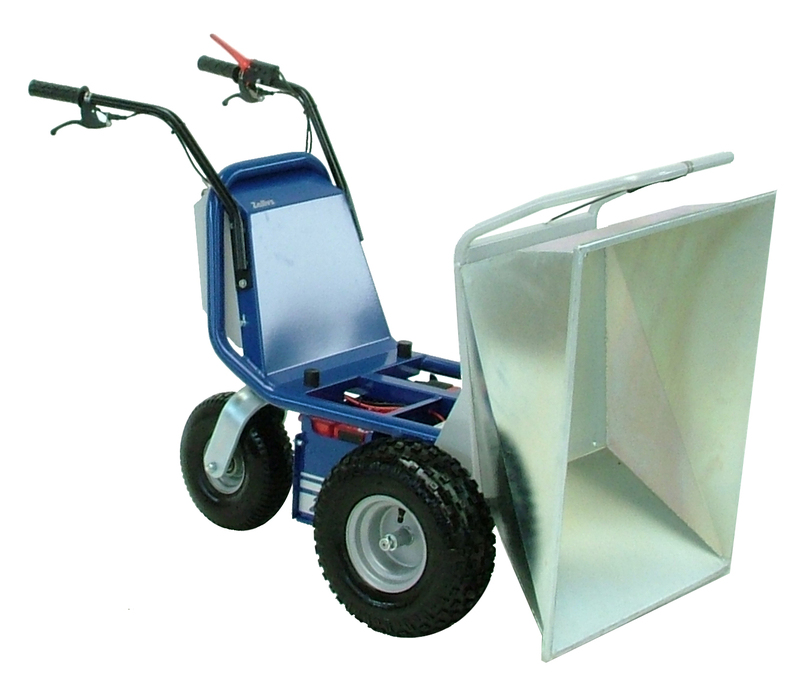 It can load up to 150 kg / 331 lbs and at the same time tow wheeled loads up to 750 kg. The motor has an electromagnetic brake that blocks off the vehicle preventing accidental slippage. 4 wheel man on board electric personnel carrier. 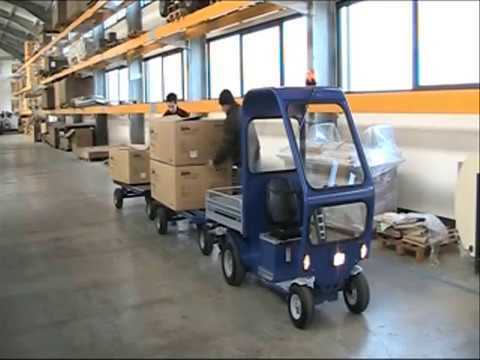 It helps the moving and transport of personnel, merchandise, for the maintenance and inspection inside industries, airports, warehouses, greenhouses, markets. The S1 industrial vehicle has an incredible versatility of application in almost every field and on different type of grounds. The multi-purpose platform in the back of the vehicle can be easily accessed from the driving seat and it is adaptable to apply the standard accessories or special customisations. The S1 electric tow tractor offers the driver stability and a great control up to 8 hour on flat ground. 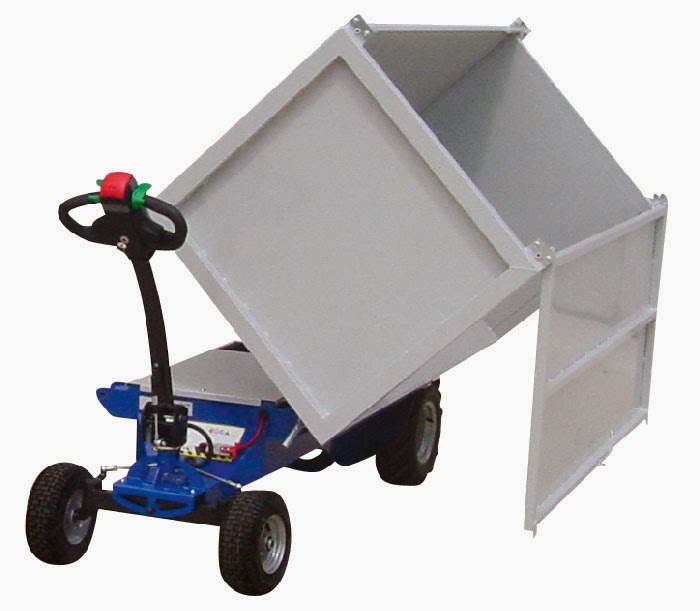 Furthermore depending on the motor size chosen it can load up to a max of 150 Kg and at the same time tow wheeled loading up to 1500 Kg. The gears in oil bath avoid any kind of maintenance.